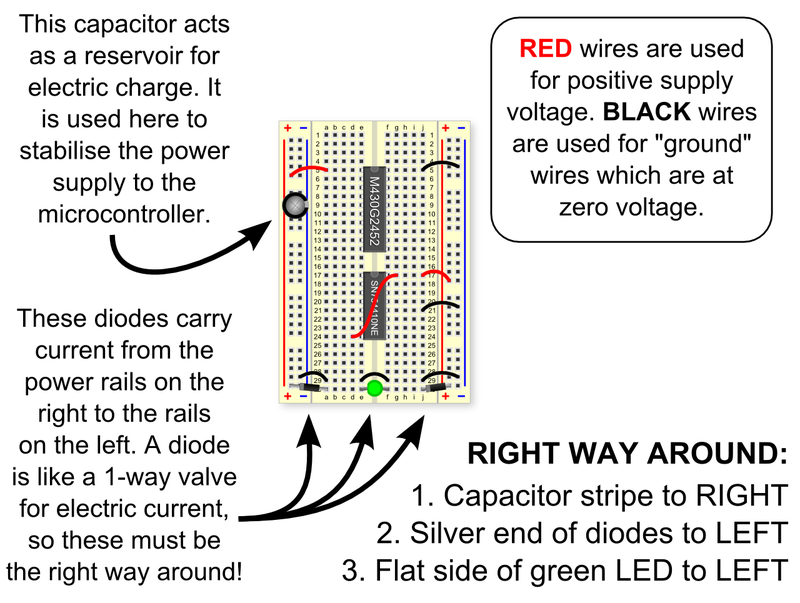 In this step, we’re adding a light emitting diode (LED) to the circuit. 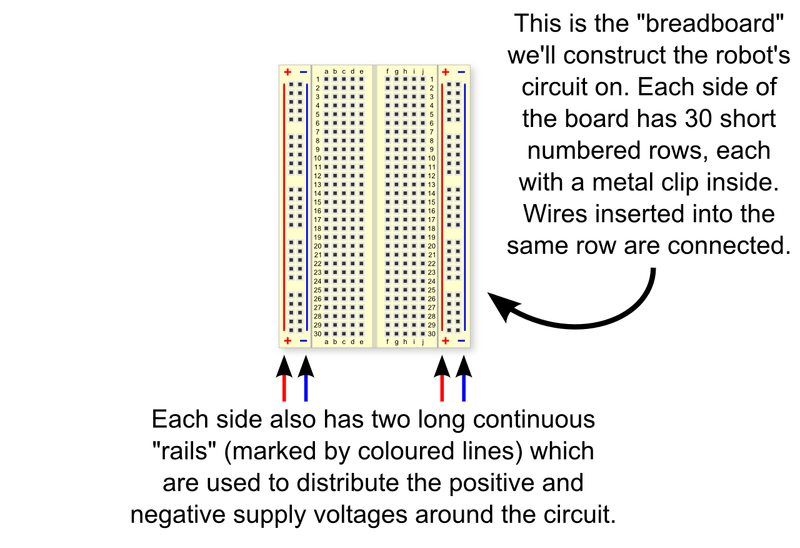 This is really just here to provide a little light that the microcontroller can switch on and off. 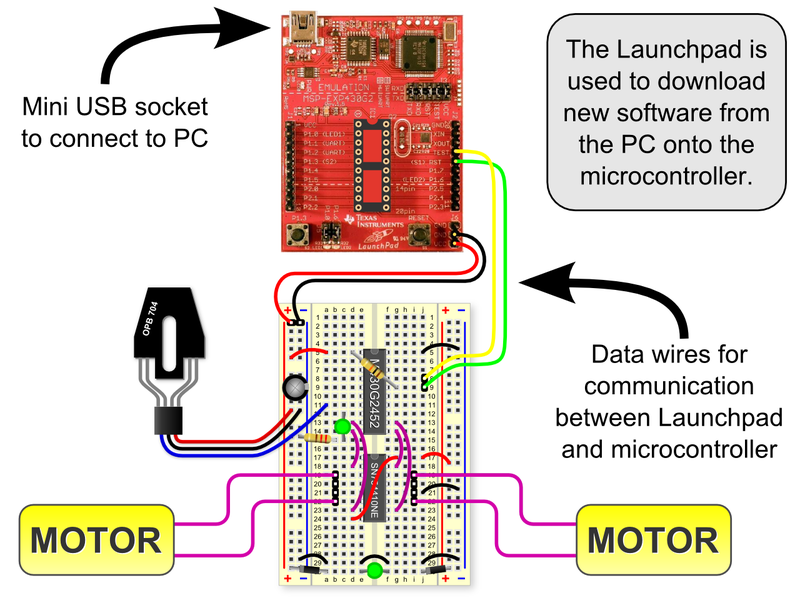 Before we power up the robot and see the motors turning, we need to program the microcontroller. 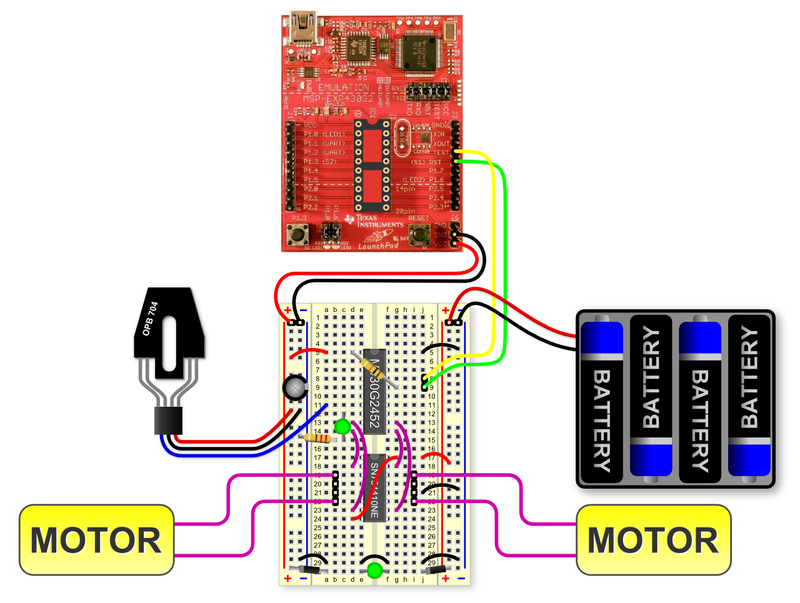 Go to the programming page now to learn about programming the MSP430, then return here when you’re ready to connect the batteries. 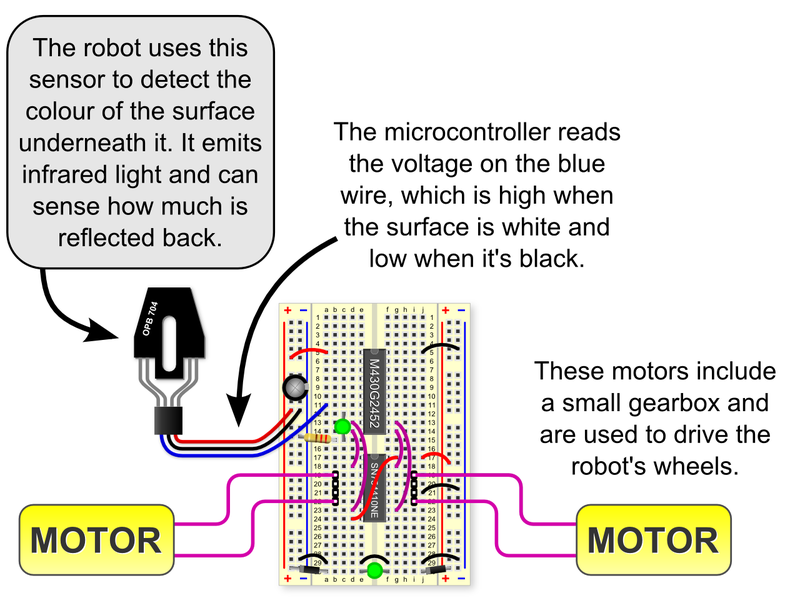 RoboSlam is an ultra low-cost robot building workshop for beginners using real electronic components. Our aim is to create a recipe for a €10 robot that’s easy to build and easy to teach others to build. RoboSlam by Ted Burke, Damon Berry, Shannon Chance, Frank Duignan is licensed under a Creative Commons Attribution 4.0 International License.